2016 was a great year when it came to discovering new products for myself. I probably spent way more money on beauty products last year than I probably should have. Beauty products make me happy, so I have no regrets. 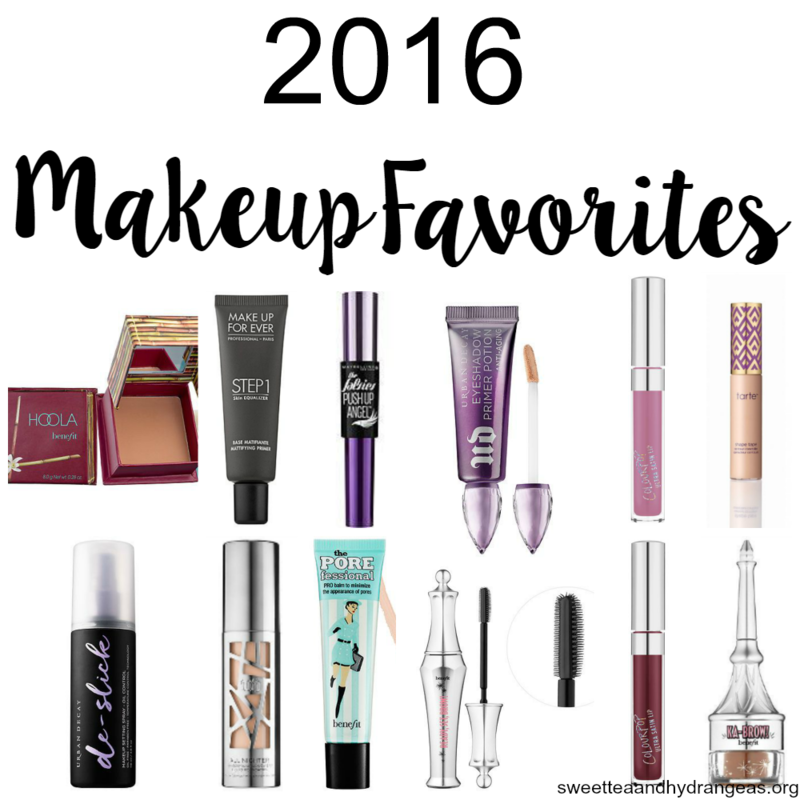 Here are my favorite makeup products for 2016. Benefit POREfessional Face Primer: I really love this primer for the winter time (I have not used it in the summer time yet). My skin tends to get a little bit drier when the weather gets colder, so this primer is perfect for the harsh weather. It is silky and lightweight and does not dry out my skin during the winter time. It’s oil-free and contains vitamin E to help protect your skin from free radicals. I find that this primer does help reduce the appearance of my pores and helps my makeup go on flawlessly/keeps it in place. Make Up Forever Skin Equalizer Primer: This primer I love for the summer time. It helps my face stay matte and keeps me from looking like a greasy hot mess. I do find that it is not as hydrating as the Benefit Primer (that is to be expected because it’s more of a mattifying primer). When applying it does dry quickly but you are still able to apply your makeup as you normally would. This primer keeps my makeup in place all day long even when the temperatures here are over 100+ degrees. Urban Decay All Nighter Foundation: I first purchased this foundation over the summer time and fell in love with it instantly. It is a medium to full coverage foundation. It is very buildable and a little bit goes a long way with this foundation. It covers up any redness, blemishes and imperfections I have without looking cakey. This foundation also oxidizes, so I highly suggest if you want to purchase it, to get matched first. I thought I would be a much darker shade but I wear 2.0. MAC’s Plum Foolery Blush: I have been using this blush for almost ten years now. It is my ride or die blush. Though it is a plum color it’s not a dark plum. I find that it would be very pretty on several sign tones. It has a little shimmer but won’t make you look like you stepped into a pile of glitter. Benefit Hoola Matte Bronzer: If you’re looking for a natural bronzer look no further! This bronzer blends out so easily and gives you a nice glow (without looking muddy). It’s completely matte, so you do not have to worry about any shimmer. I also use this product to do my contouring with. The Balm Mary-Lou Manizer Highlighter: If you are looking for a beautiful highlighter this is the one!!! It’s a vanilla shade that gives you a subtle glow. Becca Champagne Pop Shimmering Skin Perfector Highlighter: This highlighter was created by Jaclyn Hill, my favorite beauty youtuber. Of course I had to purchase it and I’m so glad I did. It does not disappoint! It is very cream and gives you that beautiful natural looking shine. Anastasia Cream Contour Kit:I love how easy it is to contour with this kit. Before I use it, I put one drop of Tarte’s Maracuja Oil on top of the one I want to use to make it even creamier. The formula is very smooth and blends out effortlessly. I also use their powder contour kit as well and love it just as much. Tarte’s Shape Tape Concealer: This concealer is hands down amazing!!! I love that it covers my dark circles, blemishes, etc without looking cakey. It also blends out perfectly and does not crease. A little bit of this product goes a long ways because it is very thick. Along with using this to conceal my blemishes I use it as a highlight. I went two shades lighter then what I typically wear. Another great plus to this concealer is that it is not drying. Urban Decay Naked Skin Concealer: This concealer is my second favorite concealer to use. It is so lightweight but covers all my problems while being extremely hydrating. The formula is not as thick as the Shape Tape Concealer. Laura Mercier Translucent Loose Setting Powder: I love how much this helps set my concealer. It is very light weight and gives you a matte finish. It does not set in your fine lines or larger pores. Tarteist Lash Paint Mascara: This mascara right here gives my eye lashes so much volume! I love that I can put on one to two coats of this and my lashes go from blah to bam. It is very long-lasting and does not have any fall out. It is Vegan and has ingredients to help nourish your lashes. Maybelline The Falsies Push Up Angel Mascara: This is probably my favorite drug store mascara that I have used in years. When I first purchased it I was a little skeptical because of the wand. It gives my lashes that extra volume that I need. Benefit Ka-Brow! Cream-Gel Eyebrow Color: I was introduced to this product at the beginning of December when I went to get my eyebrows done at Ulta. I love that this gel comes with a brush making it very easy to apply. I also love that the gel is not clumpy. Benefit Ready, Set, Brow! 24-Hour Setting Gel: This setting gel goes hand in hand with the Ka-Brow cream gel. When I first used this gel I used way too much which made my eye brows a little crispy. So if you do purchase this product, I suggest using just a little bit to set your eye brows. Urban Decay Original Eyeshadow Primer Potion: When it comes to keeping my eyeshadow on this is my go to primer. My eyeshadow does not budge or crease. Urban Decay Naked Palette: This is an oldie but goodie. I have so many eye shadow palettes but over 2016 I started going back to the Naked Palette. It’s just an amazing palette because it’s so pigmented and you can create so many looks with it. ColourPop Ultra Satin Lip in Molly: This is my favorite lip formula from ColourPop. It’s really moisturizing and long wearing. Molly is a dusty lilac shade. I wore this shade a lot during the summer time. ColourPop Ultra Satin Lip in Hutch: I can not begin to tell you how beautiful this shade is. I have worn it non-stop during the Fall. It is a blackened violet shade but when I wear it, it was more violet than black. Urban Decay De-Slick Oil Control Makeup Setting Spray: Seeing that most of the time I have oil in my t-zone I have to use a setting spray. If I don’t, my makeup tends to come off a little bit. This spray helps reduce the amount of oil I have on my face while keeping my makeup in place. Another great thing about this spray is that it features temperature control technology. That wraps up my best of beauty for 2016. I know there were so many more products that I probably forgot to list. As you can see I had so many favorites last year. I’m sure 2017 will be the same. What were your favorite beauty products from 2016? Let me know in the comments below. Thank You Hra! Lots of great products to try out for sure! The Falsies mascara is a great drug store one! I’ve been dying to try the Benefit Hoola Matte Bronzer! I’ve heard such great things about it! Alicia it’s a really great bronzer! So easy to blend out! I like Colourpop’s Ultra Satin lips as well. It seems everyone loves the Shape Tape; it must be good! Marette ColourPop products are my jam. Their satin lip formula is my favorite so far. The Shape Tape concealer is amazing! I’m obsessed with my UD All Nighter foundation. I love how well it works on my skin since I’m very oily. I am obsessed with it to! It keeps my face from looking overly oily. I LOVE learning about new makeup products!!! My bank account- not so much haha!! Need to check out some of your picks! Mackenzie I agree!!! I love learning about all the products I have not tried yet. Spending all the money to get those…probably not the best idea! I love Benefit and Urban Decay. I haven’t tried these products yet, though, so I’m excited to check them out! Meghan I love both brands as well. If you try them out let me know what you think! 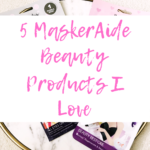 These are all such great products! I’ve had my eye on that Becca highlighter forever! I’m also super curious about that shape tape concealer. I have Tarte’s Maracuja Creasless Concealer that I love. I wonder how similar they are. Thank You Leanna! I love the Becca highlighter! I have not used the Maracuja Creaseless Concealer before. I do love the shape tape one though!!! Goes on creamy and blends out amazingly. Girl! I love love love Porefessional. I swear by it. In fact, i’m out now and need to order more because it is, hands down, my favorite primer for all times of the year! It truly does make my make up go on smoother and stay on. You know I love Colourpop, too! I need the Molly one! My favorite is Clueless. The rest of these products are on my “must try” list! I love it as well!! I think for the summer time I may try their mattifying one out though. I know for the holidays they had a huge value sized one for $44. Completely worth buying because it has more product in it. ColourPop is so hard not to love! They have some new pressed eye shadows. I’m thinking about getting some but I really need to use the ones I already have. The struggle is real. My favorite this year has been a Mary Kay CC cream I discovered back in August. I love it. It may actually be my favorite “foundation” ever! Kristin I have tried that CC cream out. It really is awesome!! It covers up most of my redness which is a plus when I do not want to do a full face of makeup. The Urban Decay foundation and Maybelline mascara sound really great! I am going to have to check those out. I feel like I can never find a really good mascara and always end up buying something different every time I go into the store. Elizabeth I love the Urban Decay foundation so much. It works for all skin types and does great with controlling my oily skin. For a drug store mascara I really love this one! 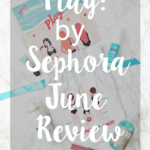 I like to try out different products every few months but of course I have my go to products. I’ve been looking for a good primer for oily-combination skin. After your review of Sephora’s Make Up Forever Skin Equalizer Primer, I think I’ll definitely try it out. I’ve used Benefit POREfessional Face Primer before and still use it every now and then but I find it doesn’t help with mattifying the skin. Thanks for the info – great review! Brooke the Make Up Forever one is really good. I will go back to using that one in the Summer time because in the Winter it is too drying for me. Benefit has a mattifying primer as well. I have yet to try it out though. So many awesome products here! 🙂 I need to try the ones I haven’t quite yet. You def should give some of them a try! Lots of great products and it’s always fun to try new things! Benefit kabrow was one of my favs from the year too! Love! Mine too! I had previously used the Anastasia brow gel but I find this one is much easier to use. OMG I loooove that eye primer. I have oily eyelids and this is the only primer I’ve ever used that did not crease AT ALL. Love love love. Also, I’ve been in the market for a new face primer so I gotta try that benefit one. Sharon I too have oily eye lids at times, so that primer does wonders for me! I love the face primer!! It does not dry my skin out which is a plus! Sam it’s such a great highlighter! I use both the cream and powder to contour and I find the cream blends out a little bit easier. If you try out the products let me know what you think! The naked palate is my favorite! And I’m been dying to try Anastasia’s cream contour forever. you just convinced me to go buy! Ah! Kristin it is my go to palette! The contour kit is so easy to blend out. Let me know what you think when you buy it. I kind of want to try that taste concealer! I love trying new products! Logan I love that concealer! It’s not drying and blends out so easily! I love this list!!! I really want some ColourPop and Tarte makeup!!!! Thank You Corsica! I love both of these brands!! You should def give them a try! ColourPop is so affordable! These are all new faves to me except the UD eye primer – love that! I’m glad I was able to share some new favorites with you Melissa. I love the UD eye primer! I use the Urban Decay primer every day! It is the absolute best! I agree Chelsea! It’s great for keeping your eye shadow in place! This is a great review! I love Urban Decay! Thank You Debbie!! Urban Decay is one of my favorite brands! That MUFE primer is also one of my 2016 faves! I’ve been DYING to try the Tarte concealer…I’ve heard nothing but amaaaaazing things and it keeps selling out places! Erica I love the MUFE primer for the summer time. It works so well with keeping my face from being oily. The Tarte concealer is amazing!! It’s so easy to blend out. I love that it does not crease or sink into any fine lines. Def worth buying!!! If you can get your hands on it, get some! I loooove this list! A lot of these are some of my faves too! Colourpop especially! Thank You Caroline! I am obsessed with ColourPop products!!! I have so many of their products. 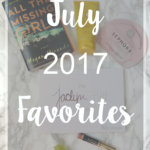 The Benefit primer and Urban Decay Naked palettes are two of my favorites from 2016 as well! Great roundup of products girl! Brittany I really love the benefit primer. I think I am going to try out the mattifying one during the summer time. The Naked palette is my favorite hands down!